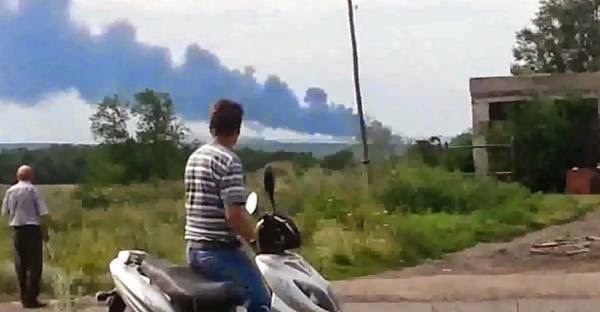 Malaysian Airlines flight MH17 with 295 passengers aboard lost contact and had crashed over Ukrainian airspace on Thursday, July 17, 2014. A Ukrainian government adviser Anton Gerashenko said on Facebook that a plane was shot down by a missile fired from a Buk launcher, while flying at an altitude of 33,000ft. In a report of Reuter, it says that Emergency Ministry official on site claims that body parts are scattered around up to 15 km from crash site with at least 100 bodies seen. The video footage below shows the type of missile launcher they say was involved. Ukraine prime minster orders investigation into Malaysian "airplane catastrophe", says plane was en route from Amsterdam. Immediately after the news broke on Thursday evening, it became a trending topic on micro-blogging site Twitter.